Looking to add a fun new pillow to your home? Look no further! The Agapanthus collection from Surya by designer Emma Gardner offers a variety of vivid colors blooming forth! Hand woven by fabric artisans in India, this pillow is made of 55% Linen and 45% cotton. Spot clean only. 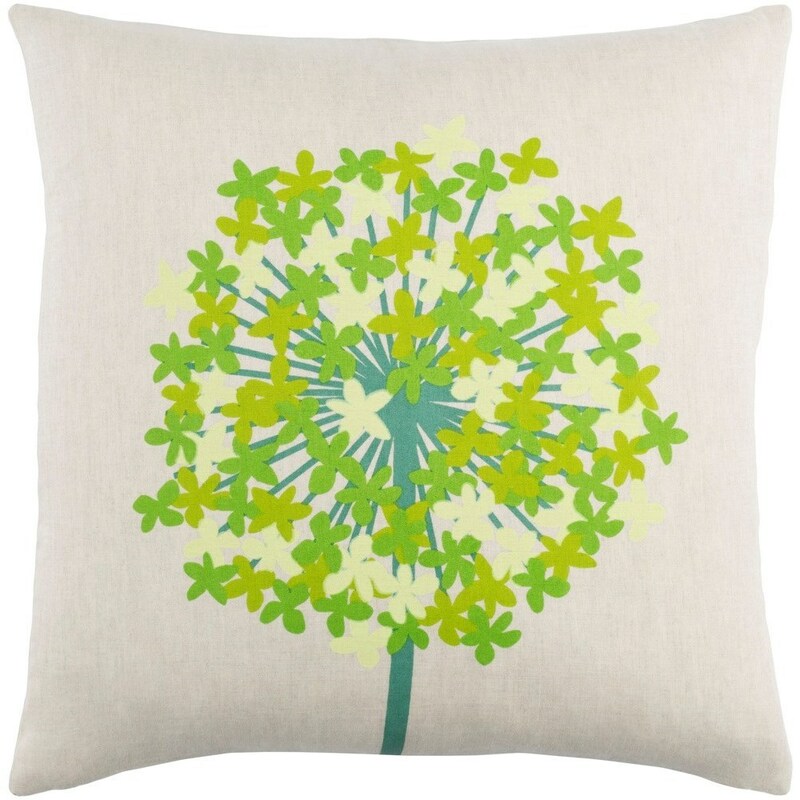 The Agapanthus 22 x 22 x 5 Polyester Throw Pillow by Surya at Royal Furniture in the Memphis, Nashville, Jackson, Birmingham area. Product availability may vary. Contact us for the most current availability on this product. Browse other items in the Agapanthus collection from Royal Furniture in the Memphis, Nashville, Jackson, Birmingham area.